My urban fantasy shapeshifter novel, The Wolf at the End of the World, is one of the books you can pick up in a brand new ebook bundle from the equally brand new Bundle Rabbit site. 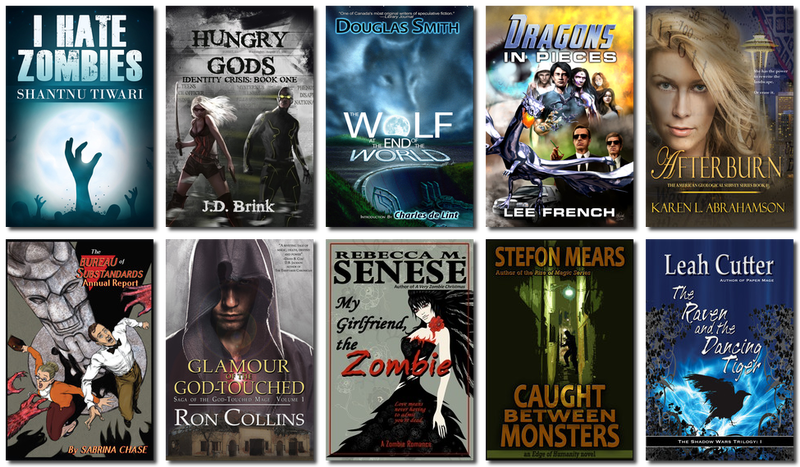 The Zombies and Monsters and Gods bundle gives you almost $50 worth of the best urban fantasy for a price of only...well, that's up to you. Pay at least $5 and you'll get the first five books. Pay at least $15, and you get all ten titles. All books are DRM-free and available in all major formats (epub, Kindle, PDF). Check out the bundle here. But don't wait too long. This bundle is only available for a limited time, and then it's gone.